I've seen my fair share of student films over the years and am happy to report that these films have now also evolved into the first ever TV sitcom created by current Penn students. In the first episode of "Classless", Steve, a student who has been shunned by the school newspaper goes on a mission to create a second student newspaper. In doing so it looks likehe'll be getting second-rate journalists as well. Laughter of course ensues. This show is well written, well cast and well edited (in a sort of a similar manner as "The Office"). There's some great dialogue and characters (check out the "business card guy") and the show moves rather quickly. 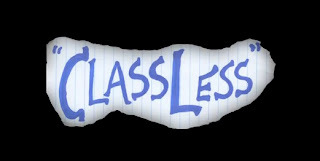 After the jump enjoy the first episode of "Classless"! "Classless" is created and Executive Produced by our DT correspondent Kelly Diamond (C'13), Head Writer Sean Kelly (C'12), Head of Production Tony Xie (C'12). The writing staff also includes Jordan Michelson (C'14) and Laura Bowes (C'12).